We have been in partnership with Qatari Diar & Barwa since Jul 2010, our services to our corporate partners include comprehensive academic support, welfare support and pastoral care to all their students in the UK. We pay a personal and regular visit to their offices in Doha every year. StudyCare paid a personal visit to the top management team of Qatari Diar Real Estate in Doha. StudyCare visited several schools and government organisations in both Dubai & Qatar, we greatly thanked HULT International Business School and EF Education First for joining us in the trip. 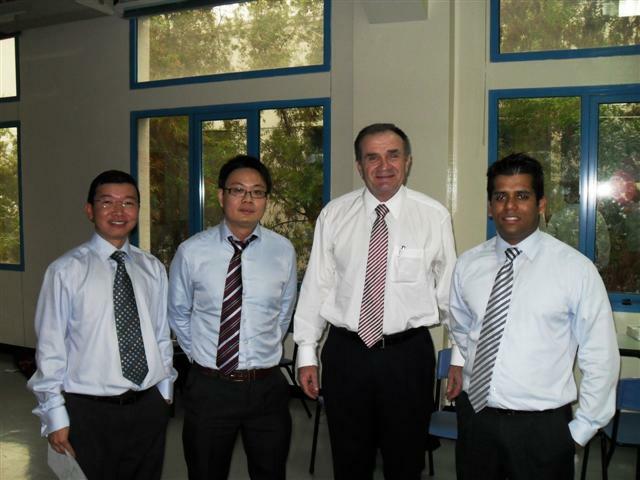 In the top right picture, from right to left is Mr.Gary Fernandes (HULT), Dr.Nick VanDerWalt (HULT), Dr.Ben Choo and Mr Sam Wong (StudyCare), Dr Nick VanDerWalt is the Dean of MBA programme in HULT Dubai. 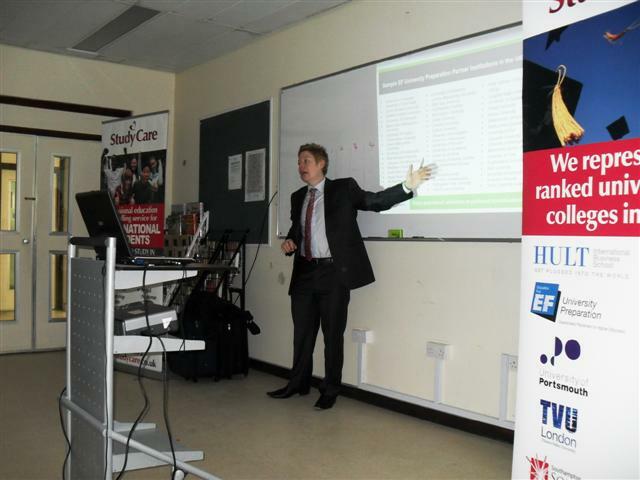 In the bottom right picture, it was Mr Alex Pilkington presenting to a school in Qatar. StudyCare met up officials from the local universities and the PhD tutors throughout the nation, through this visit, StudyCare has managed to become busines partner to many prestigious institutions in the UK in recruiting international students, in addition, more PhD tutors have also joined our league in offering academic support services. StudyCare paid a visit to Uniadmission in Dubai to strengthened the business relationship, Uniadmission is the largest student counselling professional body in the whole Gulf region. 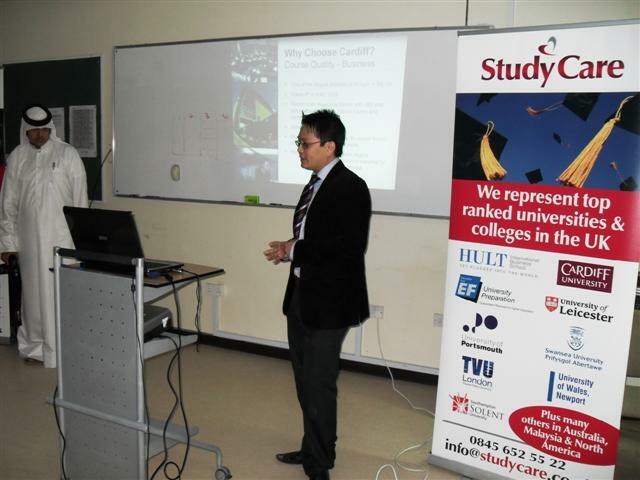 StudyCare worked closely with EIC in China to provide academic and welfare support to their Chinese students studying in the UK. 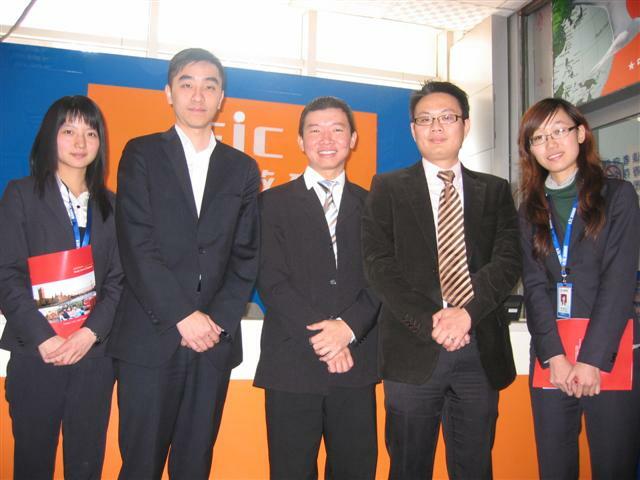 EIC is one of the largest students counselling groups in China.